​caring, CONFIDENT, animal lover AND PET BEHAVIOR EXPERT. potty visits at midday while you work every Monday thru Friday ongoing- SPECIAL- puppy potty training help! We are happy to customize our services to meet your individual needs. Our devotion to pets is deep in the heart of the family of animal lovers who provide the services. Angel Pets staff are bonded and insured as well as background checked. We are also rescuers and volunteers. We simply enjoy spending time with pets and care deeply about them. We get very attached to our clients pets and treat then like our own. We specialize in grooming and caring for large, old, disabled, anti-social, fearful or even aggressive pets- YES! both dogs and cats too. We also groom parrots and reptiles. If your pet is kicked out of doggy daycare or sent home unfinished from the grooming salon or refused at the boarding kennel, let us help. We use a variety of tolls and equipment to safely groom your difficult pet. We have soft nylon muzzles, special collars, handling gloves for cats, and TIffany is not afraid while she grooms your difficult pet, which makes all the difference in how your pet reacts to the groomer. You can not teach a groomer to be unafraid of aggressive pets. Tiffany is fearless and truly is the "pet whisperer" of Houston. mobile grooming "in your home"
We do not have a van like most mobile groomers in Houston. We provide a very unique service that is called "in your home" grooming. We can also groom outside if the weather allows, and in fact we prefer it. Even if we do groom your dog or cat in your home in the Houston area, we always clean up afterwards. ​NO SAME DAY SERVICE AVAILABLE- WE ARE SORRY! ​We now carry a full line of Burt's Bees All Natural Pet Shampoos, Conditioners, Deodorizing Coat Sprays, Nose Balms, and Tearless Facial Cleanser. Request the Burt's Bees Spa Treatment for your sensitive skin pet for $5 extra! ​​All the cool pups are raving about the gentle delicious smelling whitening power of this amazing product! We include a 5 minute facial massage too! Request a blueberry facial add on for your pup today, only $5 more! Like us on Google and Facebook for discount offers! 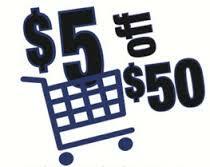 Ask for $5 off when you spend over $50 and review us or check in on any social media such as Yelp or Facebook! ALERT- WE ARE OVERWHELMED WITH HAPPY CLIENTS! Tiffany is very responsive and communicative. She follows our instructions to the T and always responds to our communications promptly. She has taken very good care of animals we've entrusted to her and we will definitely hire her again. I have 3 dogs and 2 cats. Not only are they all happier staying at home when my family takes a weekend trip, but it is easier that trying to coordinate when to drop them off and pick them up at the kennel, not to mention getting them all in the car, especially the cats. AND it saves us money too. It costs less than boarding at the kennel down the street because I have so many pets! Wow I'm so impressed! We have been getting our dogs groomed at Petco or Petsmart for years and we have 3 small dogs. We had enough after our last visit to Petsmart and two of our dogs looked crappy and when I tried to ask them to fix the cut they argued with me and wouldn't do anything. Angel Pets comes to my house, sets up a table and goes to work. Katherine Cooper is super professional, super skilled at what she does, and she moves as quickly as possible while doing an awesome cut! I'm so happy we decided to give this a try! She can come to my home in the evenings or on weekends which is very convenient for us since my hubby and I work full time. Thanks for great service and a fun visit! After having countless horrible experiences at Petsmart (they told me my puppy was not easy to work with and that he was very difficult, uneven haircuts/unfinished haircuts, ears being cut, and hours on end being stuck in a cage without water or being able to go outside) I did some research and found Angel Pets. Well, I'm so glad I did!!! Nichole is my miniature schnauzer's groomer and she did an excellent job fixing Petsmarts mistakes. She was professional and took very good care of my dog. She has a lot of patience and takes her time to make sure the haircut is perfect. Max was so well behaved and not difficult at all. Everything was done in the comfort of my home and the experience was much less stressful and more pleasant for both my dog and I. She cleaned everything before leaving. We will forever be using Angel Pets grooming! Thank you so much for such a wonderful experience! We set up our grooming table in your home in the Houston area, on a plastic drop cloth. We do the bath in the sink for little ones, in the tub for others, even outside for large dogs. We prefer that you have a shower sprayer with hose attachment but it is not required, we can use a good old fashioned bucket to pour water over a dog. Mobile grooming for cats is MUCH less stressful for them. You won't have to put them in a crate at all but we do suggest you put them in a bathroom before we arrive because as soon as they smell all the dogs on our equipment they will hide! We use a variety of tools to make handling cats safe and less stressful for the cat and the groomer. Thanks to Vics Pics for the header photo on this page! 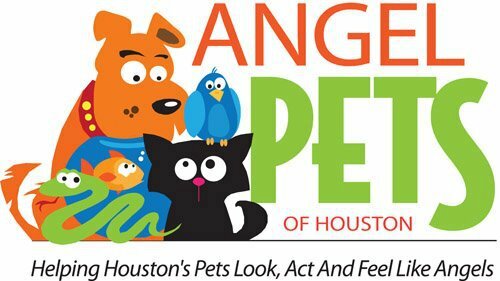 Angel Pets is Bonded and Insured through Pet Sitter Associates LLC. ​Call us to request a current copy of our insurance. We respond FASTER to inquiries thru our web site forms, REQUEST ALL SERVICES HERE.